Ronaldo London at Calypso Fiesta. Photo by Lincoln Holder. 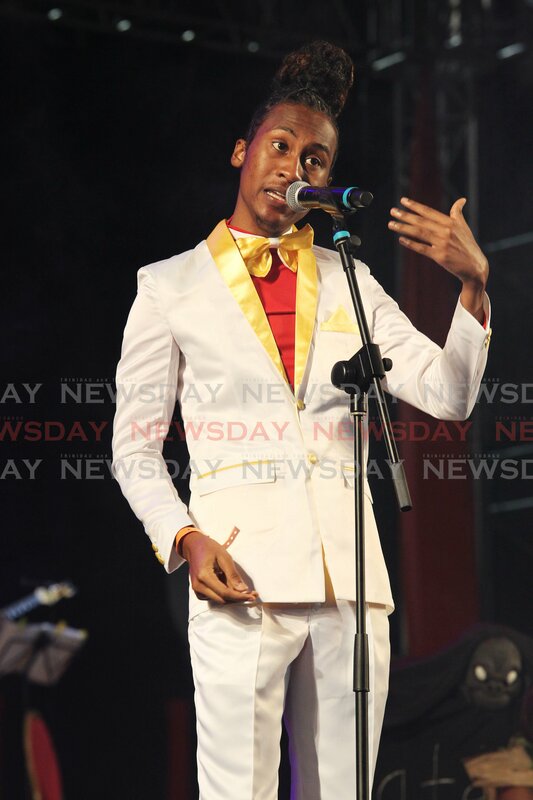 THE London family added two more Carnival titles to their trophy case this year when Ronaldo London and his uncle Brian London won the Calypso Monarch and Extempo Monarch titles respectively at Kaisorama 2019 at the Queens Park Savannah on Thursday night. Ronaldo, who won the 2019 Young Kings title, delivered a spirited performance of "Man's imagination" to dethrone defending calypso champion Helon Francis who placed third. Former monarch Karene Asche and Maria Bhola placed second and fourth respectively. Earlier in the evening, Brian defeated Black Sage in the Extempo Finals to win the crown. Last year's extempo monarch Myron B was defeated in the semi-finals. Speaking to reporters after the show, Renaldo and Brian expressed their thanks to God and their family for their victory. They both said their victories showed that calypso was alive and well in TT. Reply to "Londons sweep Kaisorama"